High quality polypropylene utility boxes. Excellent latch and hinge detail. 9 moveable dividers. 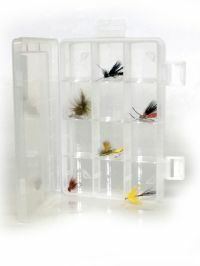 Perfect for large bass, steelhead, salmon and saltwater patterns.